Magnum. Tasted blind. Blackish ruby. Distinctively herbal nose. Then soft and round in a mulberry sort of way. Very easy to like even if it is different from most of the Médocs in this line-up. Something a bit tarry about this. Lots of magic and not too austere in texture without being at all sweet. Lots of drive. Lots of tannin! St Estèphe was one of the best communes of the 2016 vintage and this example certainly doesn't disappoint. 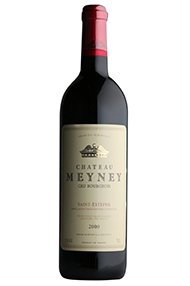 It has great intensity and the 2016 is generous with pleasing aromatics of black briar fruit, coffee notes and spices. It has unctuous bright fruit with a polished texture. Reliably old school. 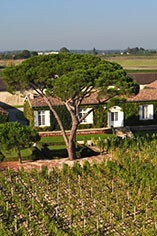 If there is one bargain to be found in Bordeaux these days, I venture to suggest it is Ch. Meyney . Honestly, if you can find it, buy some – I gave it (2015 vintage) the same score as Montrose. 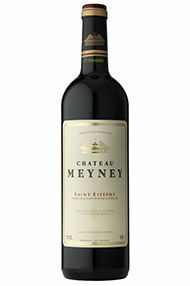 It doesn’t have the same polish, and the tannins might be a bit more pronounced, but Meyney is the steal of the vintage for me.